Another themed blog post! This is a Sundate - #nadskai at it's best entry. For more info about the themed blog posts, do read the entry here. The c(hubby) and I are currently sponsored by Chrysalis Spa for facials and the sponsorship will be ending soon. While i am totally not obliged to write, i've decided to share my thoughts of their facials so far. I'm not sure if you guys know but I have dry skin and Skai aka c(hubby) has acne. 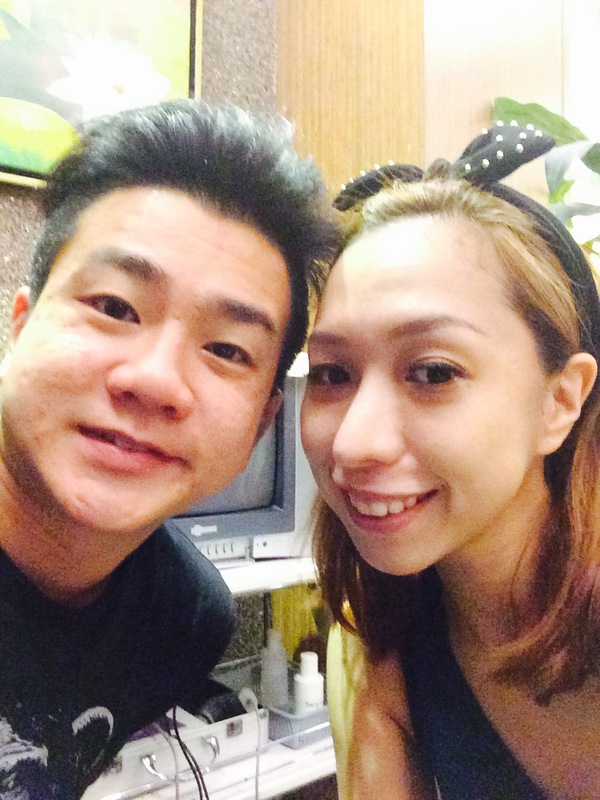 We have been visiting Chrysalis monthly and honestly, we both have seen improvement in our skin! While Skai is still pimply, his condition has improved! It isn't as bad as last time! 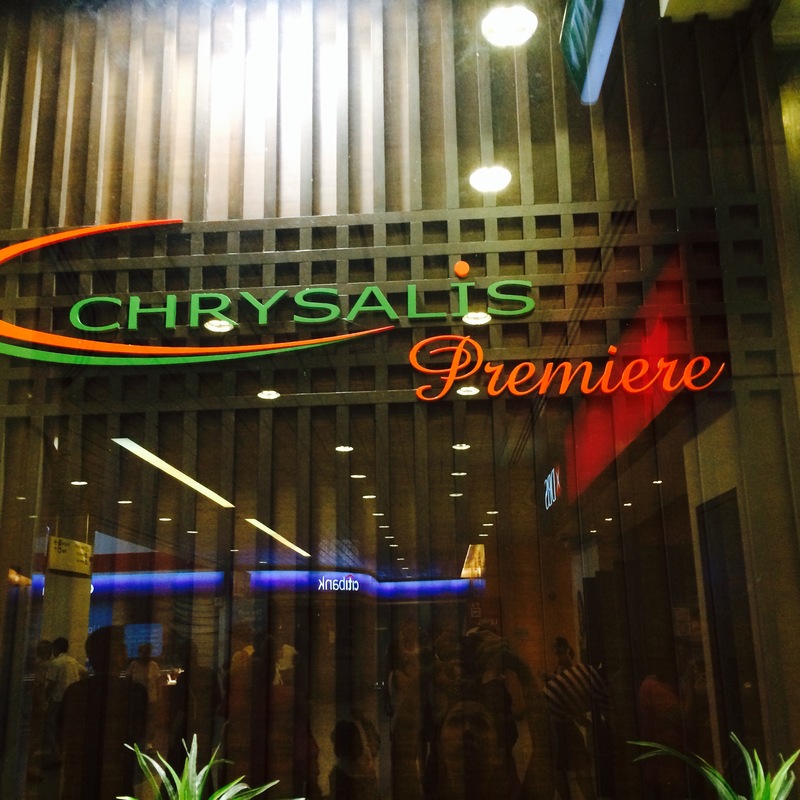 We usually visit Chrysalis Spa at the AMK Hub outlet on Sundays which is why I thought of using this for Sundate! HAHAHHA! Thoroughly enjoyed our facial. Skai had the diamond peel facial while I had a nourishing facial with eye bojin for my cannot-make-it dark eye circles. Feels like I have had dark eye circles for like forever! We will be going for a couple massage in a bit! Will update soon about it! Posted in #nadskai, Beauty, Face, Love, Sponsored, Sundate. Tags: #nadskai, Chrysalis Spa, Couple Facial, facial, Facial places in Singapore, nadnut, nadnut.com - Singapore Lifestyle Blog, singapore beauty blog, singapore lifestyle blog, Sundate on August 31, 2014 by nadnut. This is a Caturdays! - Pictures of cats entry under my themed blog posts! For more info about the themed blog posts, do read the entry here. Miu Miu is now almost 3 months old! And he has grown so fast! As with most kitties, he has lots of energy! And super duper active! He loves to play and nibble on us! But what I love about him is that he can manja, sleep with us and also stay still for pictures! When he is the mood, of course! Some pictures of my silly kitty! Gotta love how expressive he is! Posted in Caturdays, Meow, Singapore Cat Blog, Singapore Lifestyle Blog. Tags: #miumiunotprada, cat, cats, Caturdays, Miu Miu Cat, Miu Miu the Meow, nadnut, nadnut.com - Singapore Lifestyle Blog, singapore lifestyle blog on August 30, 2014 by nadnut. I'm not sure if any of you guys may remember this... in 2010, I started this #mysterymakan tradition with Jacelyn, Esther and Fidelis. Each of us would take turns planning makan outings and would only reveal the address on the day itself with no other details. 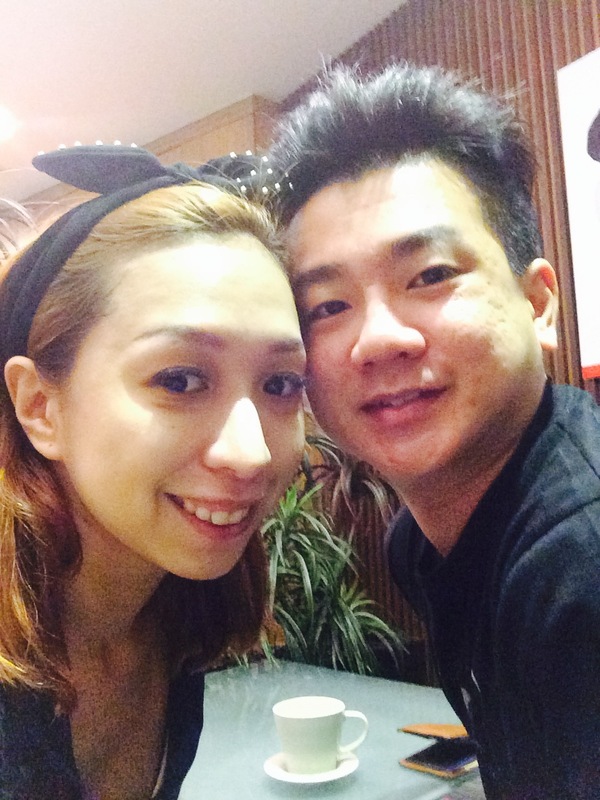 With the Mystery Makan tradition, we visited new places and tried new food! It’s really fun and we all look forward to our Mystery Makan sessions. Personally, I always search for nice themed cafes to showcase in this Singapore Lifestyle Blog. This time, it was Esther's time to organise! And this has to be my favourite Mystery Makan venue that Esther has organised before! Eat.Play.Love is a craft cafe where one can enjoy food and drinks while having a creative outlet in making trinkets, dolls and anything you'll fancy that is available in the cafe. We spy The Tiramisu Hero!!!! Eat Play Love seems to serve a fusion of food mainly thai inspired. Esther had the basil chicken which she gave a thumbs up! Fidel and I had the mango fish which comes with fries normally but I was quite full so i swopped mine to more salad! BFF had the Mango sticky delight. And we enjoyed the Tiramisu and coconut ice-cream! And we soon got right to business! Esther, Jace and I went for the shrinking plastic. Here, you can trace the design you want (or well, draw freestyle) and colour it. After which, you'll put it in the toaster oven where it'll shrink! What is a blogger gathering without camwhoring? Thank you Fidel for this pic of me! Posted in Food, Foodie Fridays, Hobbies, Life and Fun, Places to eat in the East, Places to eat in Town, Singapore Food Blog, Singapore Lifestyle Blog, Thai Food, Themed Cafes. Tags: #Foodiefridays, Craft cafes, Eat.Play.Love, EatPlayLove Cafe, EatPlayLove Craft Cafe, mystery makan, mysterymakan, nadnut, nadnut eatplaylove, nadnut.com - Singapore Lifestyle Blog, Singapore Food Blog, singapore lifestyle blog, thai food on August 29, 2014 by nadnut. This is a Thursday's Travels - Anything about previous, current and future (upcoming) travel exploits entry under my themed blog posts! My version of a Singapore Travel Blog LOL! For more info about the themed blog posts, do read the entry here. My ex-colleague Ian had shared with us some suggestions on places to go, things to do and recommended food and snacks in Amsterdam. Much love to him! These are some of the things we did during our trip to Amsterdam during our honeymoon aka #nadskaihoneymoon. Because this entry is going to be really photo intensive, I will be splitting this into another entry. Before we go into our suggestions on where to go, I'll like to recommend getting the Holland Pass. The Holland Pass costs us EUR72/Pax. The pass is actually an all-in-one city pass which covers the main places of interests and also offers an express queue for some places! For more info about the Holland Pass, I would recommend that you read about it here. Actually c(hubby) was the one who found out about the Holland Pass and researched about it! Amsterdam is such a beautiful places and was one of our favourite stops in Europe. The people were friendly and nice, communication was easy and the food was delicious. We'll definitely head back one day! We checked out the various museums like Stedelijk museum, Rijksmuseum and Van Gogh museum during our trip there. I LOVE museums, love looking at the beautiful paintings, sculpture and the rich history and heritage. Most museums will not allow photo taking inside. We chose to respect that and only took pictures outside where it was allowed. There are really many museums to visit and my personal favourite was the Van Goth Museum in Amsterdam. Take a look and slowly research on the preferred museums. Unless you purchase an express pass/queue ticket, most of the time you'll have to queue for quite a bit to get in. As a huge fan of cheese, I had to visit both the Cheese Factory and Cheese Museum. I felt that it was interesting to find out the various types of cheese and sampling. We even bought back some cheese to enjoy in the comforts of our hotel. From fun rides to learning about the fermentation process to the rich history of Heineken, it was really a very interesting experience! Not only that, we had 2 glasses of beer each. For 16 Euros each, I thought that it was money well spent! Beautiful bottles available for purchase. Some of you guys may have read The Diary of Anne Frank, a Jewish girl who went into hiding from the Nazis in World War 2. Tickets are at 9 Euros per person. If you've read the book, I would highly recommend you visit Anne Frank Huis. I will be blogging about Keukenhof, Coffeeshops and various eats in my next Amsterdam post. Should you have any questions about Amsterdam, please comment here! Posted in #nadskai, #nadskaihoneymoon, Amsterdam, Europe, Life and Fun, Love, Outfit of the day, Singapore Lifestyle Blog, Singapore Travel Blog, Thursday's Travels, Travel. Tags: #nadskaihoneymoon, Amsterdam, Amsterdam Heineken Experience, Amsterdam Holland Pass, Anne Frank Museum, Cheese Museum in Amsterdam, Europe, Heineken Experience in Amsterdam, Holland Pass, Ibis Amsterdam, Museums in Amsterdam, nadnut, nadnut amsterdam, nadnut's honeymoon, nadnut.com - Singapore Lifestyle Blog, Planning for your honeymoon, Rijksmuseum, singapore lifestyle blog, singapore travel blog, Stedelijk museum, Traveling to Amsterdam, Van Goth Museum on August 28, 2014 by nadnut.